Right from lauding Hasan Ali to trolling Dinesh Chandimal, right from lauding Imam-ul-Haq to trolling Sri Lankan bowling. 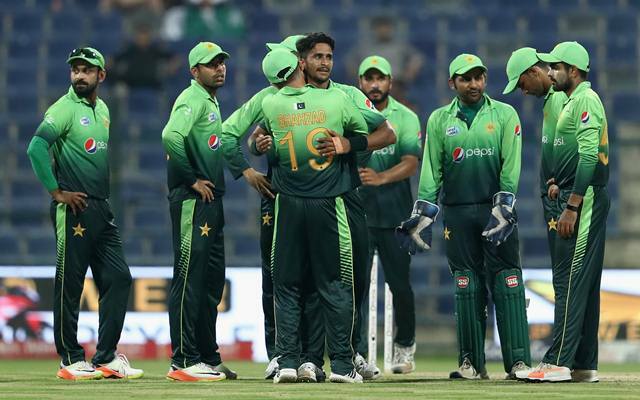 In what was the third One Day International between both the sides, Pakistan continued their scintillating performance as they gained an unassailable lead of 3 nil in the series. On the other hand, Sri Lanka were outplayed in all the departments today as their losing streak continued. Earlier in the day, it was skipper Upul Tharanga who won the toss as Sri Lanka elected to bat first. Sri Lanka had Chamara Kapugedera coming in for them while Pakistan included Imam-ul-Haq and Fahim Ashraf in the playing XI. Batting first, Hasan Ali drew first blood as he got the wicket of Niroshan Dickwella. While Upul Tharanga managed to score a half century, Dinesh Chandimal got lost half way into his innings as he played a strange knock of 19(49). Sri Lanka never recovered from there as they kept losing wickets at regular intervals. The middle order continued to collapse like a pack of cards as they failed to learn any lessons from the past few games. Thisara Perera’s cameo ensured Sri Lanka crossed 200 runs. They even failed to last 50 overs as the whole team was dismissed with 208 runs on the board. Hasan Ali was the pick amongst the Pakistani bowlers as he got a five wicket haul. Shadab Khan also continued to impress as he got a couple of wickets. Junaid Khan and Mohammed Hafeez also got a wicket each. Pakistan on the other hand were off to a solid start. Debutant Imam-ul-Haq scored a spectacular hundred in his debut game. Coming in place of Ahmed Shehzaad, he made his presence felt with a magnificent knock first up. No one else was required to play a huge role as the target wasn’t quite big. Pakistan ended up winning the game by 7 wickets dominating in both the departments. Lahiru Gamage and Jeffrey Vandersay got a wicket each. Twitter was at it’s splendid best, right from lauding Hasan Ali to trolling Dinesh Chandimal, right from lauding Imam-ul-Haq to trolling Sri Lankan bowling, here are some of the amazing Twitter reactions during the course of the game. Well done Team #Pakistan and hats off to #hasanali and #Imamulhaq , what an amazing debut!